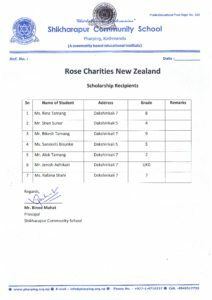 Rose Charities NZ provided the funds for an entire and much needed new rood for the school in return for 7 students to be sponsored to grade 10 and 2 to even higher level. It is anticipated that this program will meet with every success for the girls and will lead on to further cooperative efforts to increase support (especially female) education both in Nepal and worldwide. 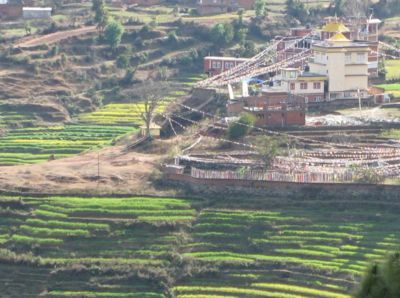 Shikharapur Community School has close links with Tribhuvan University Kathmandu. once a year in February to make sure the project is on track or to provide practice updates. 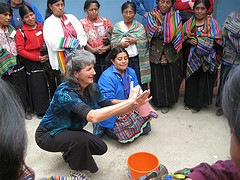 To date we have taught over 1000 Comadronas in various communities in many parts of the country. Since our last report, the team has made 2 visits to Chisec, in the department of Alta Verapaz and has been able to teach 3 courses and a total of 100 comadronas in this municipality. Educational space and meals were generously provided by Karen and Rocky of Compelling Love Ministries, a couple from Kamloops who have acquired a small acreage in Chisec to provide community health education programs and to create a children’s nutritional center. As I write this report, our Guatemalan team will be teaching for 2 weeks, roughly 60 students, in Chichicastenango, a large market community in the highlands of the department of Quiche. 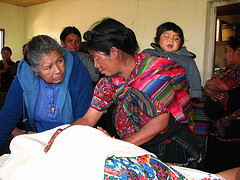 Efforts have been made to connect with local Guatemalan NGOs to collaborate materially and financially on this project. Unfortunately, while we receive lots of approval and verbal support, material support at a local level has not been forthcoming. 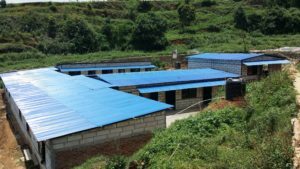 I believe the reality for this project in Guatemala, as with much of the health and education infrastructure in the country, is a dependence on foreign donations for sustainability. A positive development in this country strapped for health dollars is that the Comadronas have been recognized since 2014 as an essential part of the health care system. The government has made efforts to credential Comadronas who receive formal training. We have received official recognition of our course from several levels of government. This coming February 2018, the Canadian team members will return to Guatemala for 2 weeks of courses. The community is to be determined. However, the popularity of our course has increased by “word of mouth” and there are several communities requesting our presence. The need is still there for this educational program. We are proud that we have been able to continue this project for 15 years and look forward the project continuing for many more years to come. Rose Charities in rural Uganda has an expanding early malaria school diagnosis and treatment program which is proving extremely successful. However it utilizes a (relatively) expensive test to make the original diagnosis which can be a limiting factor. 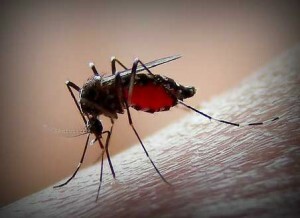 Research has recently shown that children with malaria have a different breath smell and this could be the way to a new, cheap and simple malaria test for the near future. The current tests are the traditional microscope examination of blood films or the more sophisticated and expensive immunofluoresent tests. But blood-smear microscopy, is difficult to implement in resource-poor settings, and the immunofluoresent rapid diagnostic testing has developed some limitations in that some forms of the malaria parasite are lacking the histidine rich protein II (HRP II) antigen altogether, which make them “invisible” to current HRP II-based diagnostic testing. 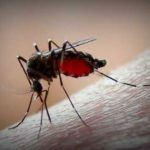 A cheap breath diagnostic test could bypass the need for any of the above tests and universally revolutionize malaria diagnosis both for the Rose programs and everywhere. 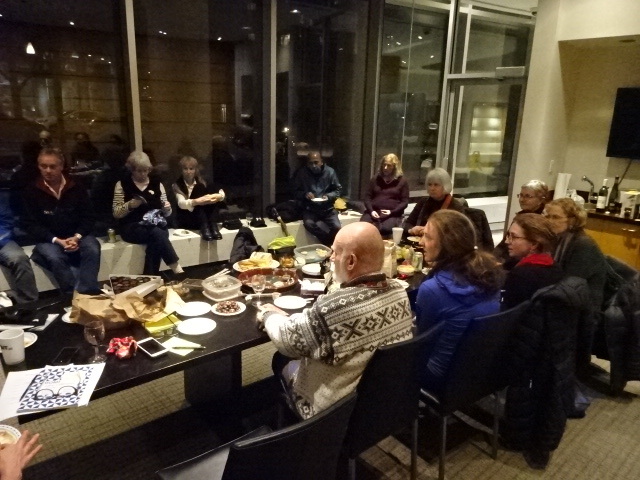 “If you had all been with Pip D and me this afternoon in South Auckland you would be at home tonight with a rosy glow in your hearts — or wherever you keep your rosy glows !…..
Pip and I attended, first, a very low key informal but heartfelt “cuppa” time before a BIG concert where we, and other supporters of Sistema were thanked over and over. 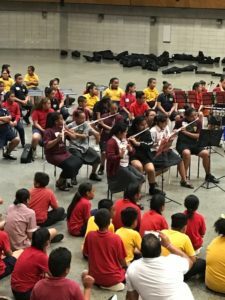 A Samoan family spoke, to add impact— and that they surely did that, about what it meant to them to be a Sistema family. The young daughter student, maybe 12 or 13, read a speech describing how her music had lifted her to explore heights she thought impossible. (She is now a scholarship student at St Cuthberts, but that’s another story.). 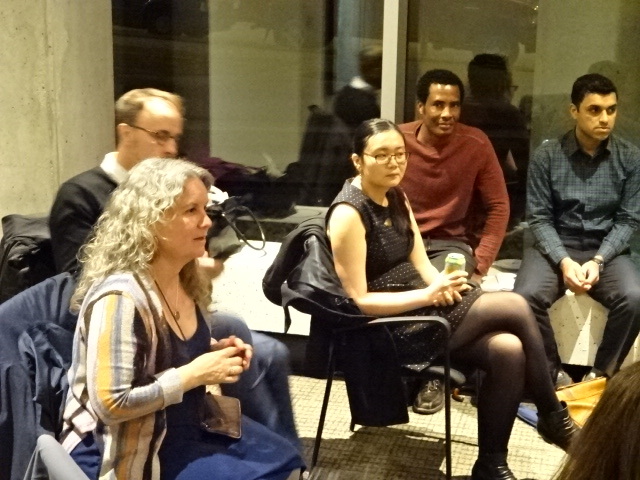 Her mother, Lindah, spoke really eloquently about what it mean for her and her husband to have their eldest three children learning violin, clarinet and trombone, and their fourth child, a cute little boy who sat through the whole long afternoon without a murmur, is rearing to join up. She particularly emphasised what it meant to live in Otara, aware of so many negative attitudes towards her community and her people, to have something as positive as Sistema to turn attitudes on their head. The Dad, who apologized for his incoherence having come straight from work, was really the most eloquent of all: He was speechless and tearful in his gratitude……. THEN we went in to the huge arena-type stadium/hall and the music began! 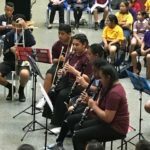 Nearly 400 children performed in different “orchestras” all through the afternoon. Other children sat on the floor listening with amazingly full-on attention. 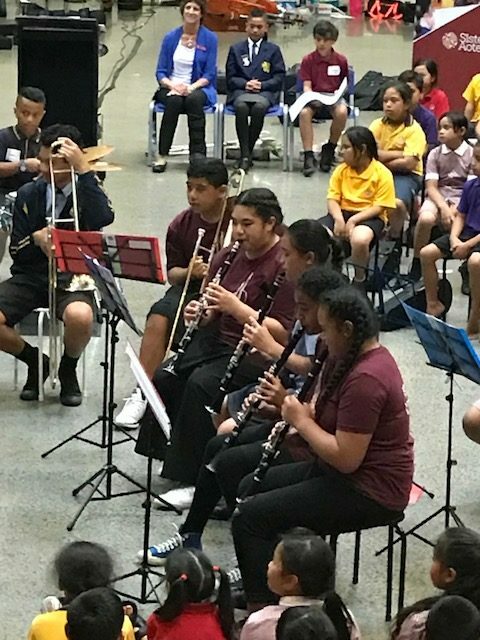 The music ranged from the beginners whose concentration, discipline and application was remarkable (aged 6 or 7) to the two orchestras numbering around 100 students who so vividly demonstrated the great skills they had acquired. Really it took heart-warming to a new level and Pip and I both loved every minute. We sat behind two principals of the local schools and they are clearly rapt with the project and the difference it makes to their students. Maths, English and “leadership” qualities have all taken many notches UP for the kids involved. It just makes you WISH every child had the same chances. One young boy announcer talked about the thrill of looking at music not understanding a thing about it, then being able to read it, then PLAY it! He made it sound like one of the thrills of his life. The Wind Band came near the end of the programme and they were super cool. Flutes, I think five, were in evidence, plus clarinets, five, trombones, trumpets. A real thrill and I know every Rose Trustee would have been absolutely delighted. 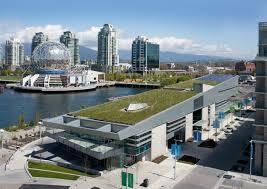 Planning for 2018 9th Rose Charities International 20 Year Anniversary Conference Vancouver gets under way.. 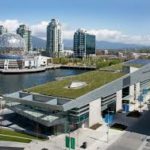 The conference will be held Saturday 21st and Sunday 22nd April 2018 in Vancouver city, British Columbia, Canada. (details via link above) An optional visit with an informal workshop will be held over Monday – Wednesday 22 – 24th April . Some home-stay accommodation (staying with Rose Charities Canada members) is available but a reduced hotel rate has been negotiated also. All Rose Charities members, supporters, and/or those genuinely interested in our work are welcome. Please email conference@rosecharities.ca or rosehq@gmail.com if you are interested in attending. Theme will be examination of those elements which have delivered 20 years of sustained program success to Rose Charities, how they can be maintained into the future to continue assistance in a changing world. While the aim is a serious interchange of ideas thoughts and plans, equally and very much true to Rose Charities concept will be to provide an informal forum of celebration where Rose Charities members worldwide can mix and enjoy each others company and together celebrate the years which have gone by. Worthy winners. Penang 2012. 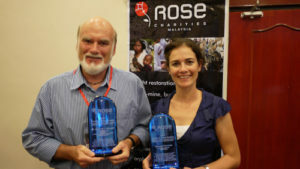 Dr Andrew Macnab becomes the 2012 Rose Laureate along with 2011 recipient Joanna Thompson (Australia)..
Consultants, Linda Robers (Charit Rose 2014) and Professor Andrew Macnab (Chari. 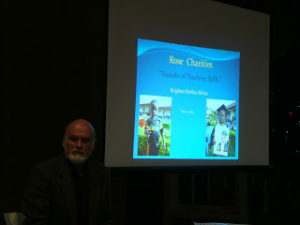 Rose 2012) gave the first Rose Charities Canada ‘TED-style’ presentations of the new mini-forum format to great acclaim. 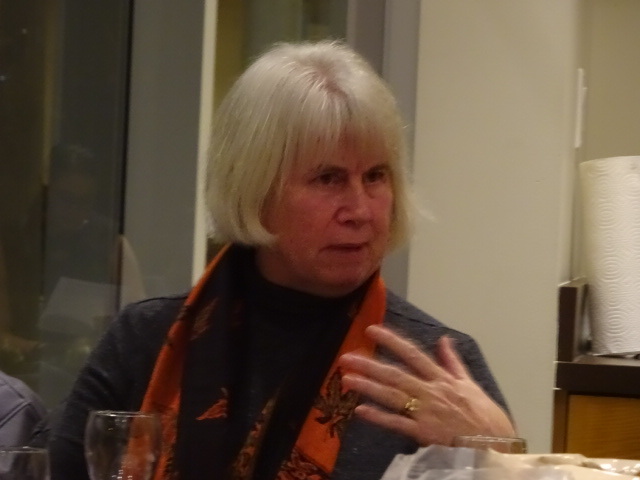 Linda, who is a council member of the Rose Charities International Council as well as one of Rose Charities Canada’s leading consultants, delivered an important presentation on child and human rights and ensuring their proper implementation across all Rose Charities direct and linked programs. 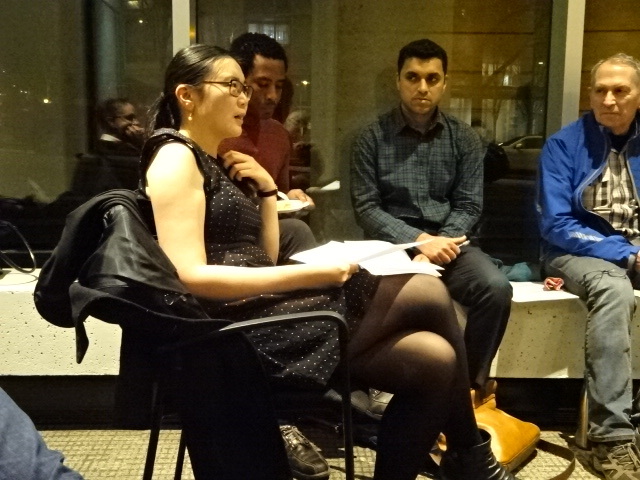 The superb presentation lead then to considerable audience discussion . 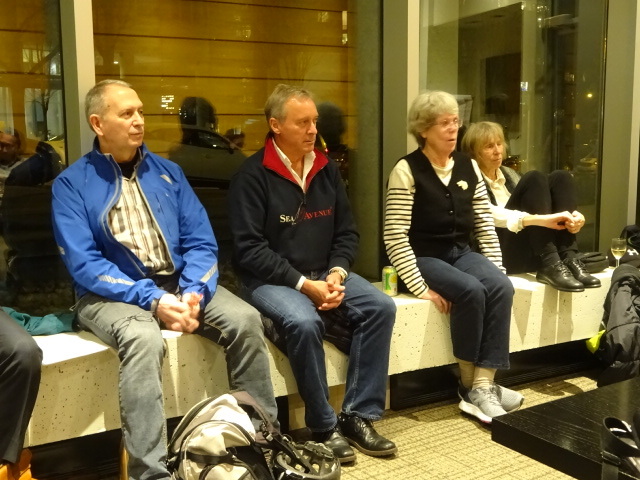 The new ‘mini-forum’ format had been instituted and planned by the Rose Charities Administration Committee, and now having shown to be enormously successful will be repeated. 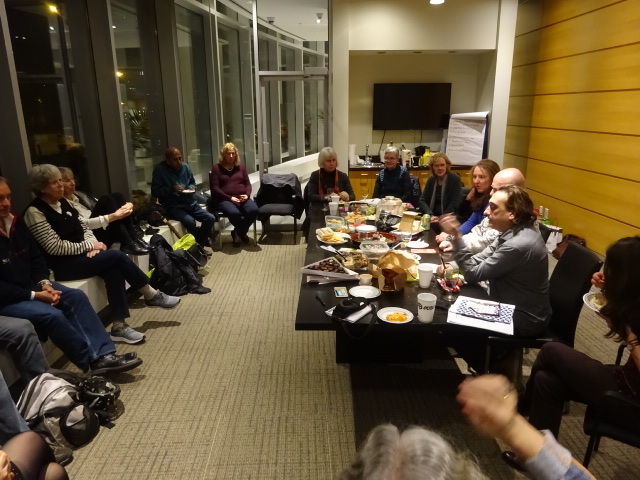 On this occasion the forum was held in the fireside room of the United Church Centre for Peace hall on 16th and Burrard, Vancouver, an excellent venue. 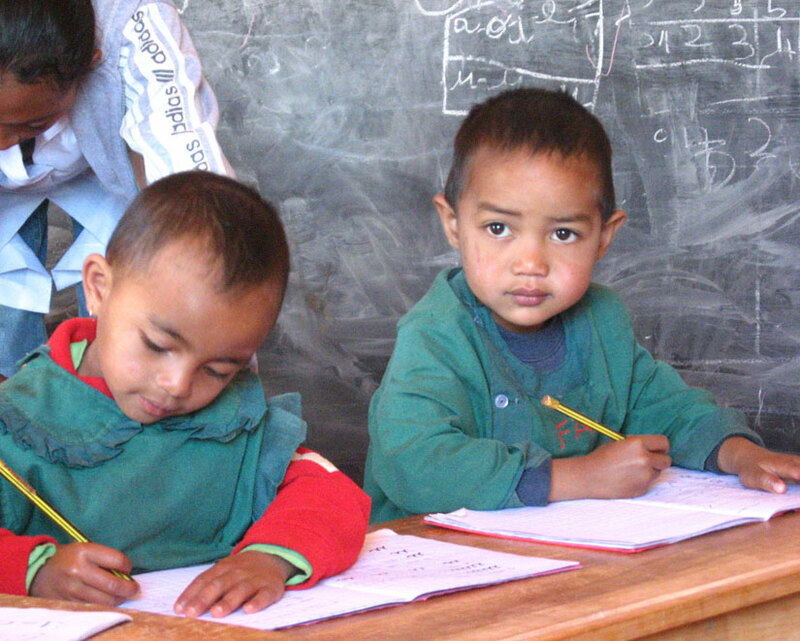 University of Leeds Photographic Exhibition chooses Rose Charities UK as target charity ! The renowned University of Leeds Photography Exhibition and Competition, has honoured Rose Charities UK for its 2017 beneficiary Charity. With programs implemented for 20 years based world wide, Rose Charities was founded initially to assist in war-torn post conflict Indo-China area of S.E Asia where programs continue in Vietnam and Cambodia to this day The Leeds photographic exhibition this year targets Asia and is known for its high standard of creative talent. Throwing malaria out of Ugandan schools: the malaria hero’s ! 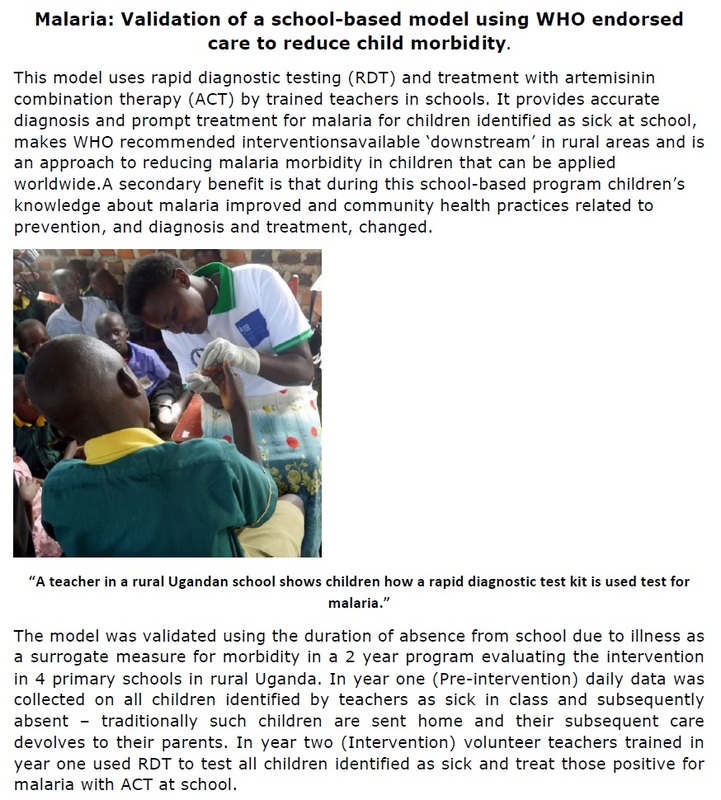 Malaria is being tackled in rural Ugandan schools with Dr Anrew Macnab’s remarkable early rapid diagnosis and treatment program delivered by trained school ‘malaria hero’s’, school staff especially trained. 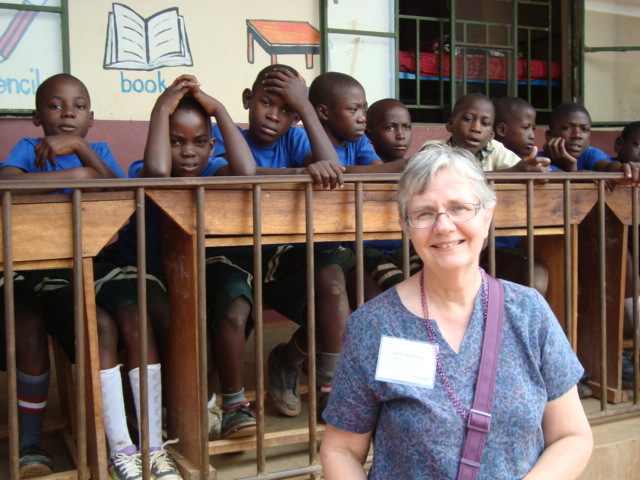 Implemented by Rose Charities Canada’s Dr Andrew and HEDA Uganda, the program is giving hugely successful, recorded results, cutting the absenteeism through sickness much hated by student and teacher alike. Please click here to see the most recent paper on the marvellous results. Project Toolkit Samoa: Rose Charities NZ gets going .. ! 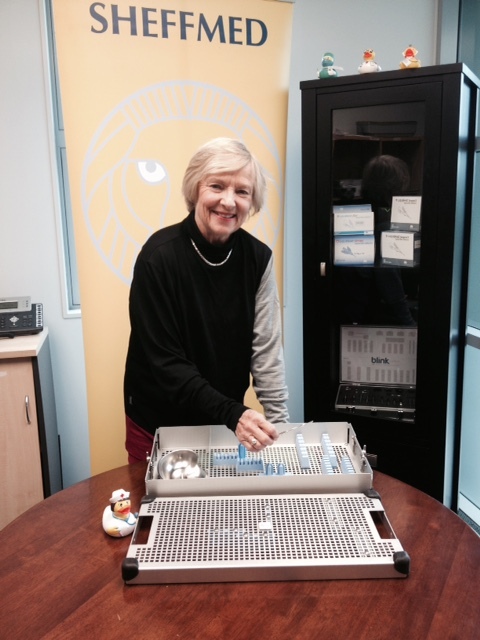 Caption: Rose Charities NZ chairperson, Trish Gribben examines a custom-designed “toolbox” which will carry delicate ENT instruments between Auckland and Apia, Samoa. 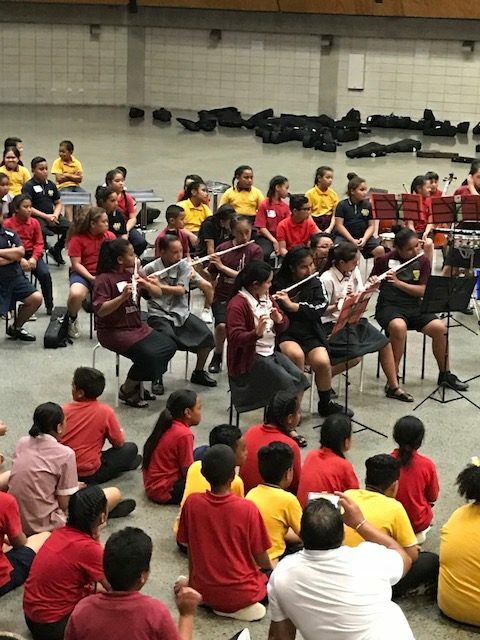 Rose Charities NZ has an exciting new project – to take Ear, Nose and Throat surgery to Samoa, to help an estimated 25,000 children who need treatment. “Project Toolkit” is the dream of a Samoan ENT surgeon who lives in Whanganui, Dr P.J. Faumui. There is no permanent ENT surgeon in Samoa and every time “PJ” (as he is affectionately known) visits his family in Samoa he conducts an ENT clinic at Apia Hospital. PJ sees about 40 or 50 patients a day but, without good medical instruments, is able to give them only very simple low-risk treatment. So Rose Charities NZ has commited to Project Toolkit, a $45,000 set of top quality ENT instruments and the custom-designed trays which will make it possible to transport them between New Zealand and Samoa for visiting volunteer surgeons to conduct ENT clinics there. The trays, with silicone inserts to keep the instruments safe and secure, are designed to allow for sterilisation and for customs inspections. PJ himself will head the team of volunteers, some of whom work at Auckland’s Starship Children’s Hospital. Sheffmed, an Auckland-based medical equipment company is collaborating with the project. It has offered discounted prices and a vital role in maintaining and keeping the Toolkit safe when it is back from the tropical conditions of Samoa. Sheffmed will also liaise with volunteer doctors who are heading to Samoa. 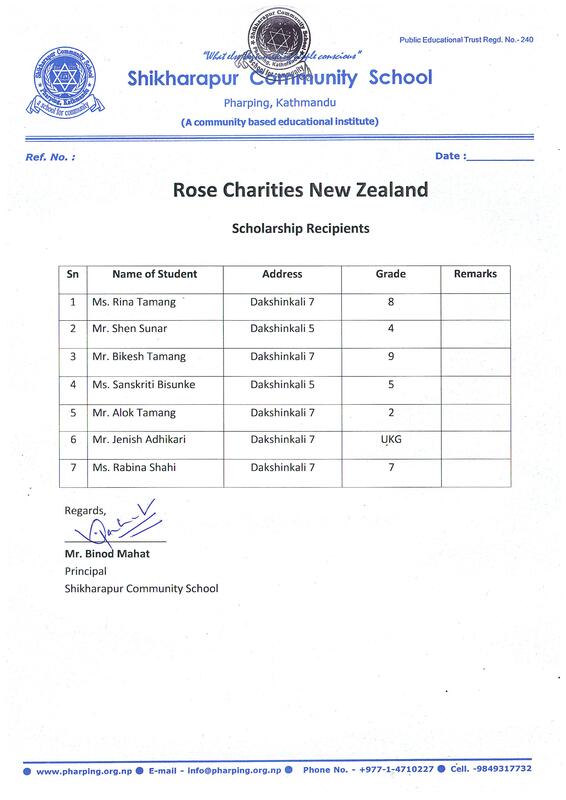 Why has Rose Charities NZ, which has an international reputation for it support of eye clinics in Cambodia and Nepal, decided to focus on ENT surgery? “Children who have untreated ear, nose and throat problems in early childhood, like “glue ear”, can be scarred for life,” says Rose chairperson Trish Gribben. “If they can’t hear well, they don’t do well at school, they become disruptive, they have behaviour problems. It’s not far-fetched to say untreated ENT problems can be a building block for an anti-social life. “The children in Samoa are our neighbours. They deserve something better. 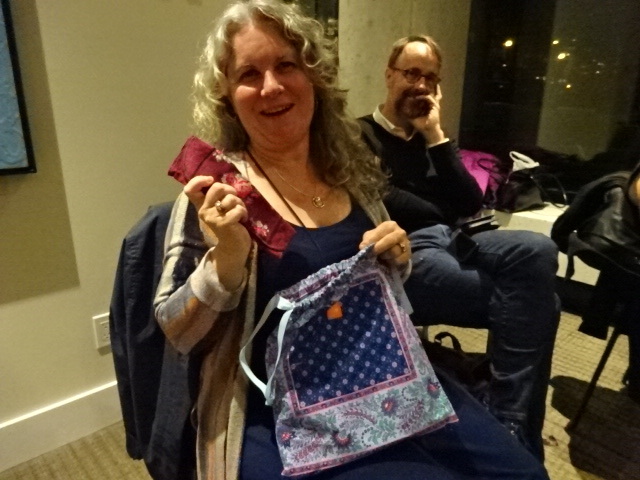 The Kiwi Rose Trustees are really excited about PJ’s Project Toolkit. 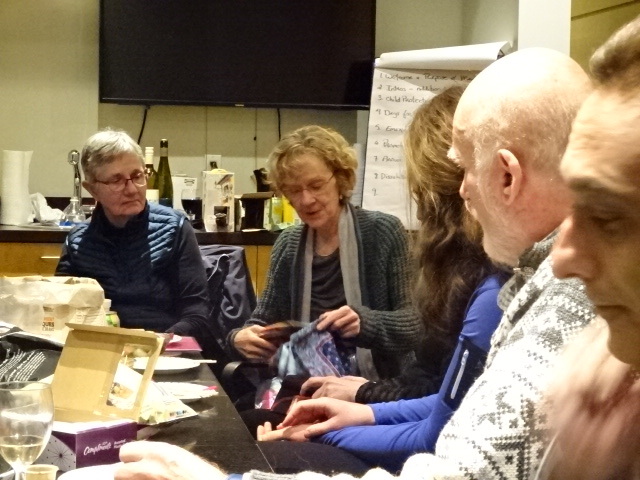 It fits Rose philosophy perfectly: Help a local person to do a grassroots project when a little effort can have a BIG impact,” says Trish. “Rose NZ is hooked. Now we have to find the money. 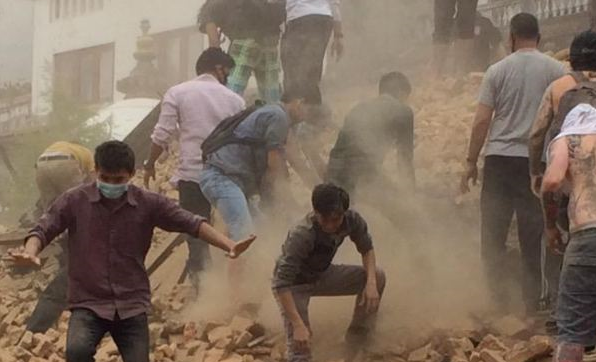 It is a big project for us as we are all volunteers. 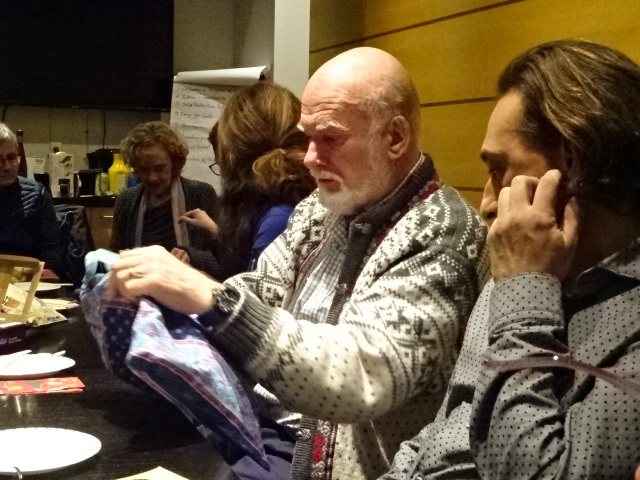 But we are delighted to be working with some Rotary clubs throughout New Zealand. And, through them, with the Harold Thomas Trust which is the legacy of the first New Zealander to be president of Rotary International, set up to provide health care for children in the Pacific. 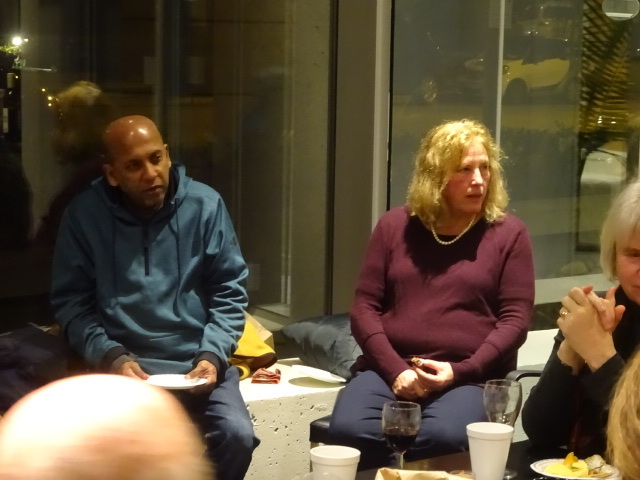 Harold Thomas just happens to have been my uncle — it is all a perfect fit, says Trish.